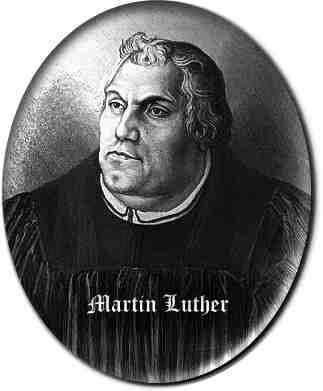 Just wanted to wish everyone well on this 490th anniversary of the Protestant Reformation began by Martin Luther in 1517. 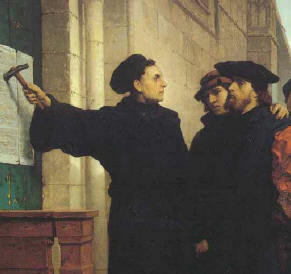 I am so pleased that the Reformation is still ongoing. I agree with John Calvin that we are reformed and always reforming. We, the people of God, haven’t yet attained perfect knowledge and complete wisdom. But that’s Ok, God’s grace sustains us. It is a work of God that constantly pushes us forward through the muck of false teachings toward the glory of divine truth. 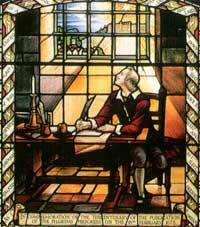 The reformers began a noble work – the recovery of truth. May we faithfully pass on to the generations to come the theology formed in the blood and flames of medieval Europe. Today, piles of doctrinal dung are often flung upon the monuments of God’s truth. Let us never tire of polishing those monuments as we continue to grow in the knowledge of the truth. I apologize for the lack of posting recently. The strange thing is, I have no shortage of topics to write about. In fact I have over 20 drafts awaiting my attention! However, I can’t seem to string two coherent sentences together. I hear this is a common malady for writers and bloggers, but that doesn’t make me feel any better about it. I may know the root cause of it all – and will share that with you if it does in fact prove to be the case -but until then be patient and don’t abandon me. I will be back – for better or worse for all of blogdem. Please pray that this too shall pass. Perhaps I’ll develop this further another time, but the faithful sermon we hear changes our status before God. Of course, I’m not talking about justification, but about accountability. The pan-Biblical principle is: greater privilege = greater responsibility. In this particular connection, we certainly see it in Jesus’ words: “If I had not come and spoken to them, they would not have been guilty of sin, but now they have no excuse for their sin” (John 15:22). So let’s say you are in a church that teaches the Word of God — which you should be. As you listen to the Word faithfully preached, something is happening to you. This is true whether you feel it or not, whether your behavior changes or not. Something is happening. What is happening? What is happening is this: your responsibility-index is rising. Ok, I promise this is the last theme I will play around with – for now. I’ll let my readers be the final judge on this. Which theme should I keep? A.) Original theme with Bunyan pic and contrasting black, white and red. Vote now in the comment section.